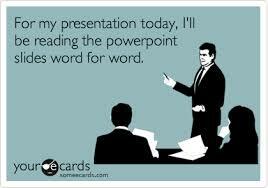 The importance of making an effective presentations as an attorney extends far beyond the courtroom. Given the historic decline of jury trials, legitimately effective presentation apps for lawyers needs to have applications outside the courtroom. Arbitrations, motion hearings, mediations, client presentations, corporate counsel boardrooms… these _ apps have tools that allow attorneys to make stunning presentations. It’s almost cliche, in my opinion, to put this app at the top of the list, but there’s no denying that no app designed for lawyers can compete with its toolset. Combining a trial management system with a telestrator that would make John Madden proud, TrialPad has everything you need to effectively manage your in-court presentation. Within the app, you can organize your exhibits, then using one of several options, display the exhibits using a television or projector-based system. View your documents side-by-side, add comments, highlights, and even arrange multiple call-outs within one document. Edit video, redact inadmissible portions of evidence, and create reports of all the activity your case has. Expert witness in your trial? TrialPad allows you to hand your iPad to the expert and allow them to mark up the exhibit right from the witness stand – keeping the jury’s focus on the evidence. However, it does have the steepest price tag of all the apps on this list. Additionally, if you had TrialPad before, you’re not going to be able to upgrade to 4.0 without paying that lovely $89.99 all over again! Keynote is Apple’s answer to PowerPoint, and quite possibly the best app for creating a presentation directly on your iPad. All of these apps are capable of pulling off a slideshow, but Keynote adds professional finishing to put your presentation over the top. With an emphasis on accessibility and ease-of-use, even novice users can make high-quality presentations with ease. Pre-loaded with tons of templates, you won’t have to search for an idea. With built-in tools to incorporate and edit video, manipulate data and insert aesthetically pleasing charts and graphs, and the ability to frame and isolate various aspects of each slide, you won’t have an excuse for failing to give a killer presentation. Fully compatible with iCloud, if you use other Apple devices, you’ll be able to utilize instant syncing and real-time collaboration on all of your presentations. What if you want a presentation app – one that gives you effective, trendy visuals with all the basic essential tools – but without the price or complex user interface? Then Prezi might just be the app you’re looking for. Preloaded with 15 visually dazzling templates, you can create your presentation on the fly, with images from the internet, from your cloud storage, or right off your camera, incorporating them directly into your show. Save your presentation to the cloud, and combine it with presentations made from Prezi’s desktop application for a slideshow that will give any app on this list a run for its money. Once you’re done, Prezi’s incredibly easy user interface allows you to present directly from your tablet, no audio-visual training required. While not designed with lawyers specifically in mind, Explain Everything was made for another profession desperately attempting to keep the attention of a group of bored, easily distracted people required by law to be there – teachers. Unsurprisingly, many of the key features of this app are equally as useful for attorneys as educators. Looking for a no-frills way of presenting your PowerPoint presentation from your tablet – including audio and video – without having to sign up for Office 365 or shell out a ton of cash for TrialPad? SlideShark is for you! SlideShark is the quintessential presentation app. Just import a pre-made slideshow, including PowerPoint slideshows, and you’re ready to go. The conversion is fast and simple, and most importantly, easy. Once imported, you’re able to view your slideshow in presentation mode, with your notes appearing right next to the images of your slide – one feature that has yet to make it to PowerPoint’s iPad app! The latest version even allows you to annotate the slides right from your tablet. Although currently only available for iOS, rumors suggest an Android version could be in the works. The only major drawback is that SlideShark was simply not designed to be a slideshow creation toolbox. While some minor changes can be made, any significant edits will require you to make the edits elsewhere, then re-upload your presentation. ExhibitView calls itself a “trial notepad and presenter,” and it doesn’t disappoint. Create your case folder on your office computer and upload it easily to your tablet for your presentation. Within the app, sort and search through indexed exhibits and case files to make sure you’re organized and ready to go. A built in specialized naming convention system means you’ll never lose a document because it’s mis-labeled. Dropbox accessibility means you’ll easily be able to retrieve important documents from the cloud. Once your presentation begins, ExhibitView really shows its stuff. Easily annotate your exhibits in real-time, showing them individually, or side-by-side for comparison. Callouts in exhibits can be done quickly and easily on the fly, thanks to the pinch-to-zoom tools effectively applied within the app. What about if you’re not in trial? Well, ExhibitView has a deposition mode, allowing it to be quickly and easily handed off between counsel. Assuming you’re not as hostile in depositions as these guys. Last, and definitely not least (I know, sorry again for the cliches), is PowerPoint for iPad (the Android version is part of the Office Mobile suite). Say what you want about Microsoft Office, but there’s a reason that every single presentation app on this list advertises that the user can import their PowerPoint presentation – it’s the most widely-used slideshow applications in the United States. Assuming you’re willing to pay the subscription price for Office 365, you’ll find that everything you love about your desktop version of PowerPoint is right here. More importantly, it’s automatically saved and stored in the cloud, allowing instant access from your desktop, your laptop, or any other device. It’s still new and has some bugs to work out, for sure. Also, the long delay in getting to the app store has given competitors such as Keynote a long head start. But don’t think for a second that every other app designer on this list isn’t already feeling the pressure of competing with the best.